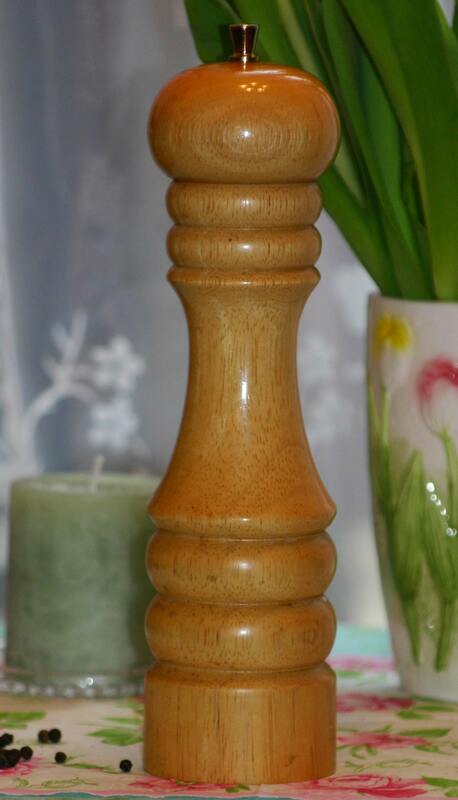 I own one of these large wooden pepper mills which gained popularity in the 1980s – they were indeed a fashion accessory! – and always take great pleasure in twisting it, but rarely give any thought to where my peppercorn comes from. I decided to remedy this and investigate. Where is the best pepper grown? Well, firstly it is a tropical plant. 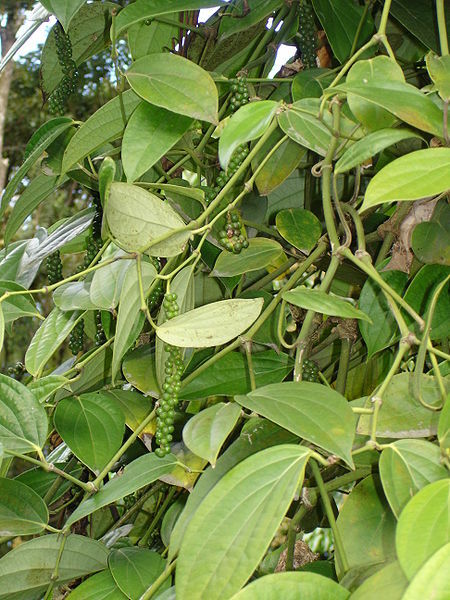 Pepper was originally brought to Europe from India via Venice, and was a spice for the wealthy… a status symbol indeed. 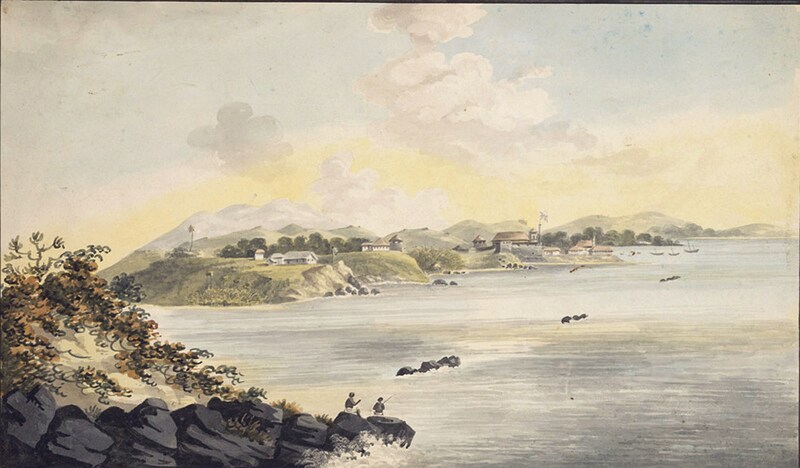 The route across land from the East made it difficult to acquire, and thus precious. What other spice had its own Guild? As early as the 12th century the Guild of Pepperers was formed in the City of London as an association of tradesmen whose duty was to control the purity of pepper, spices and drugs. They also dealt in other luxury goods such as gold. (They still exist, in the form of The Society of Apothecaries). Nowadays most of us buy a supermarket brand… hardly a luxury. 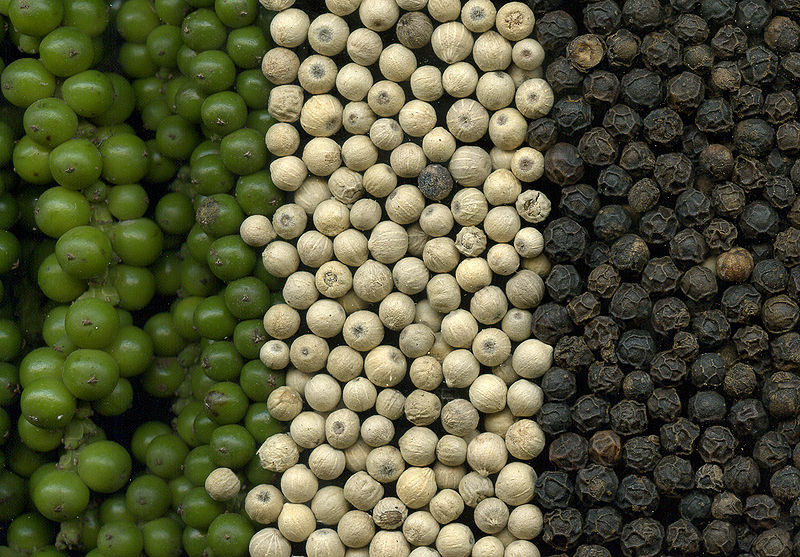 If your peppercorn originates from India, Brazil, Malaysia, Indonesia or Cameroon, it should be among the better ones. And still it should not break the bank. Why did it lose its value? Because in the 18th century the British finally established new territories in southern India, and ships became faster; pepper – along with other spices – suddenly became much easier and cheaper to obtain. Hence the reversal of the meaning of “peppercorn rent”, from “a significant sum” to “a token amount”. By the way, the Merriam-Webster online dictionary defines Tellicherry pepper as: a superior grade of Indian pepper characterized by exceptional richness of body and fullness of flavour. This entry was posted in Food, Herbs & Spices, Plants and tagged Food, Plants, Spices. Bookmark the permalink. I can smell the aroma as I read! I never paid any attention where my pepper comes from, but now I will.